He didn’t back down when Kimmel, half-jokingly asked him about his search term preferences, either, remarking, “What’s the point of being Kanye West if you can’t,” before proceeding to lay out his fantasies (not especially dark, beautiful, or twisted, as it happens) for all the world to see. Kimmel presumably appreciated the fact that the segment was good TV, but Pornhub definitely enjoyed the shout-out. 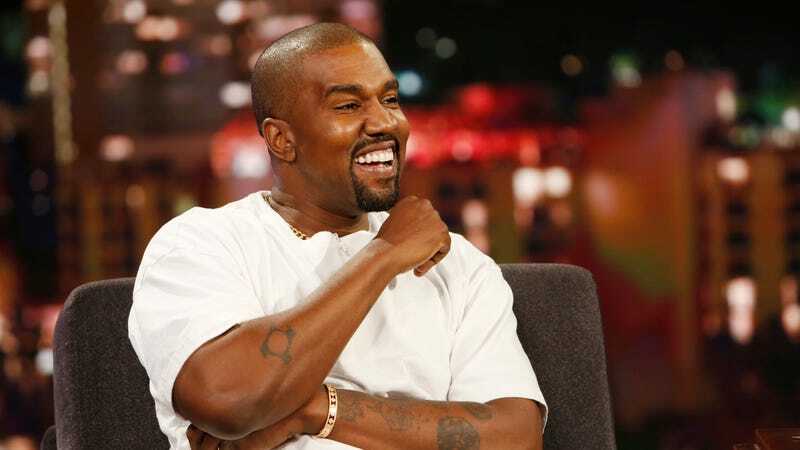 Marketing savvy as ever, the site announced today that it was granting West a lifetime subscription to its premium services, so that he can continue to do what Kanye West does best: Celebrating Kanye West.